There’s no denying that babies are expensive, and never more so than as newborns when you have to fork out for everything in one go. For that reason I have teamed up with some fantastic brands to bring you three amazing products, worth £155! The Baby Carrier Mini is a small baby carrier that’s easy to use for frequent short baby wearing sessions. It’s perfect for those first few months when your baby just wants to be close to you, and leaves you with your hands free to get things done. In a choice of 7 colours it has some amazing features to make it easy for you to wear, and safe for your baby to be in. Small and Easy To Use Super easy to use, with just a few adjustable buckles, the Baby Carrier Mini can be quickly put on and easily removed. If your baby falls asleep whilst in the caret you can remove the entire front section to life out your baby without waking them – and we all know how important that is! With an adjustable size and head support it can adapt with your newborn as they grow. Supersoft and Flexible The Baby Carrier Mini is made of the softest, most cosy fabric, made up of a clever 3D fabric system which consists of three layers – an inner layer, an outer layer, and a middle layer. The middle layer is made from a fine, single-fibre thread to ensure a good airflow and regulate your baby’s temperature whilst in the carrier. As we all know it is so important for babies not to over heat and I love that this carrier takes that into account. Hands free The main thing for me, when mine were newborn, was that once they were safely in the carrier it left me with time to get some jobs done. I used to walk the dog, do the washing up, and even run the vacuum cleaner round while they napped! Two way facing The carrier can be worn facing in against your chest, or after 5 months old, when they have good head control, can be worn with your baby facing outwards. I think this is an amazing carrier – perfect for your little one, practical, stylish, and affordable at £79. You can find out more here. For those who haven’t heard of Merifor before, they are the creators of the best anti-allergy cot mattresses and have been awarded the Allergy UK Seal of Approval. 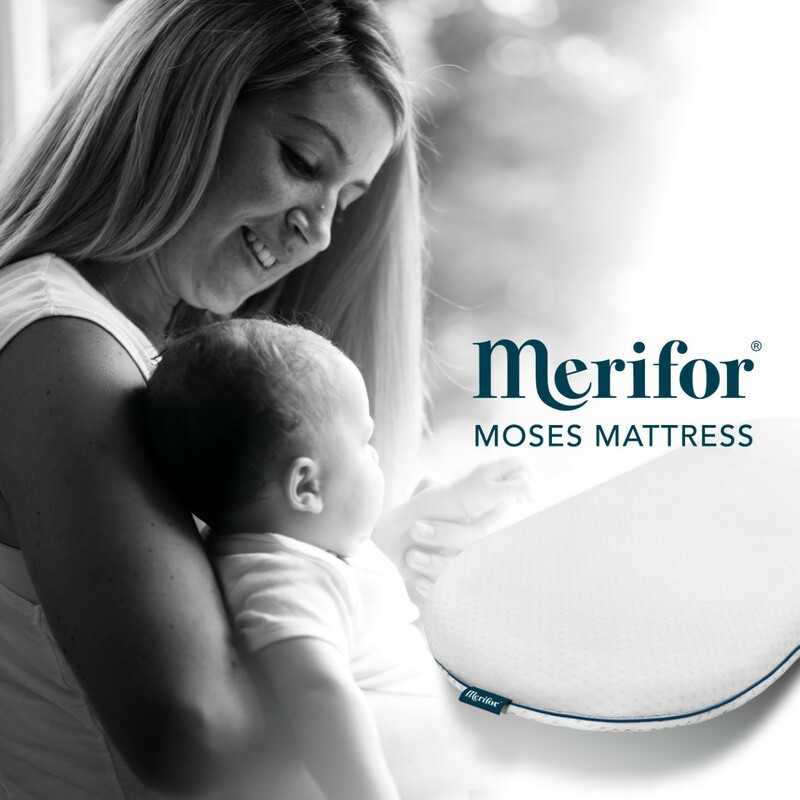 Designed by some of the leading experts in the industry, Merifor mattresses are the most advanced anti-allergy mattresses in the UK and, as a Mummy to two asthmatics, I think they are an absolute necessity. With a range of mattresses, from Moses baskets, cribs, travel cots to toddler beds, Merifor have something for everyone and each has been thoroughly tested to give your child the best start in life. The Moses Superior Foam Cot Mattress (£40) is the smallest in the range, made of superior foam to provide comfort and support, while the sealed waterproof inner core provides an allergy eliminating shield to ensure your baby sleeps safely and soundly. I know that for me, as a new mum especially, I worried so much about whether my baby was safe in their cot, and getting the right mattress was so important not just for his safety, but for my sanity too! You can read more about the Merifor range here. A natural cream to protect against dampness that can lead to nappy rash Using ingredients such as organic Chamomile, Shea Butter, Elderflower and Rosehip, they are so gentle on the skin and a really lovely set for both Mum and baby. I would love to win these prizes for my sister who is expecting her first baby in June! Very exciting! She would really appreciate these goodies. I’d like to win for my son and daughter-in-law who has just my first little grandson. A fabulous gift for the new baby in our family. We have friends who are due a baby very soon so would make a lovely gift for them. I would love to win these prizes for my son and his wife. They are expecting their first child (and our first grandchild) on May 17th and this would be an amazing help! I would like to win these prizes for my sister because she’s currently pregnant. I would love to win this for my little sister who is currently pregnant with her first baby. I’m a much older sister (13 years!!) and would love to be able to help her out more than I can actually afford to. My goal is to win her a bunch of baby stuff and this is a wonderful bundle! I would love to win this for myself!! We are expecting our first baby boy and this would be a wonderful help!! I’m going to be a grandparent! For myself as currently trying. I’d love to win the prizes for my youngest son who is 7 weeks old. I would love to win this for my 2 month old nephew Logan and his mama, my little sister Heather. She and her fiance are flat broke and he works as a chef all the hours, including until close tonight on Valentine’s Day. I know she has no body carrier for him. My daughter is about 10 weeks pregnant so this would be perfect! Myself and my daughter as my granddaughter is 8 weeks old. I think I would like to give the baby carrier a go. Would love to win this for me, baby is due on May 1st. Would be a great little start for our little bundle of joy!! My partner and my friends have just had their first child, I’d love to be able to give them this! I would love to win these for my friend’s new baby due soon – wonderful prizes! I would absolutely love to win this! Need it! I would love to win the prize bundle. Family friends to be grandparents later this year. Would be a wonderful, useful package for the family to make use of in caring for the much wanted little one. A good friend is expecting very soon – this would be a great way to welcome her daughter into the world! My friend Beth had a baby girl, Luna, on the 22nd of January ( my girls are absolutely captivated by her). I’d really love to win this super bundle for her. For my sister in law who is due her second baby in July! I would love to win this for my niece or nephew, the announcement was made yesterday and I’m beyond excited! I’m due my little one in June! This would come in so handy! My nephew and his wife are expecting a little girl in a couple of months and it would be so lovely to treat them to such wonderful things. these would be for my god daughter who is having twins!! I would love to win for myself, my baby is due in May 🙂 I love the carrier! Due in July, this would be amazing. I’d love to win this for my sister for my neice to be! I’m expecting (not sure which gender yet) and this would be such a helpful giveaway for me. I’ve never seen such a comfy looking mattress either! My best friend who is expecting her first baby. She has been trying for a while so I am VERY excited for her! Our little grandaughter, would be fab so many thanks…. I would love to win this for my best friend who is due her very first baby soon i think she would really appreciate this bundle. My friend because she is expecting her first and this would be lovely. My partner’s niece is expecting a girl, so this would be lovely to gift. My partner a great aunty. Hehe! For my daughter in ;law as she jus thad a baby. I would like these for my sister in law who is due in early summer and this would help her no end . Would love to win my sister is having a baby soon would also be great for my own growing g little family! I would love to win this for my cousins daughter who has just had a baby boy. Trusted brands make me feel happy. I found out yesterday that I’m going to be a nanny, my first grandchild is due in August and I’m so excited. These great baby items would be wonderful. I found using a baby carrier with my babies really kept them content. For my sister in law, her baby is due any day now! Would be great to get this for her. I would like to win this for my sister-in-law. She is due on 16th March, 2 days from now. I can’t wait to meet my new niece/nephew. Fab prizes always on offer. My friend would love this. I’d love to win for my friend who’s due in a couple of months. 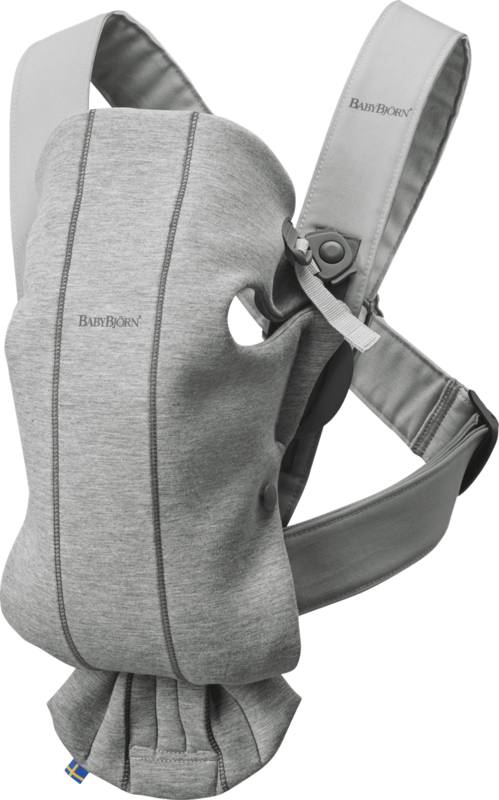 I used a BabyBjorn carrier for both my little ones and loved it – and this version looks even better! It’s time to get the baby items out ahead of number 2, see what needs replaced. Definitely new mattresses. I’d love to win this prize as a surprise gift for my best friend……. So excited about my first grandchild arriving in the summer. This wonderful bundle of amazing prizes would help my daughter and son in law enormously. Thanks for the chance to win. I would love to win this for my friends New baby. I would like to give this prize, if I won to my son and daughter in law as they are giving me the gift of my fist grand child in the next two weeks. My Cousin and for a gifted. They would be a fantastic surprise for my friend who is expecting her first baby. Thank you! I would like to win these prizes for my first grandchild. I remeber the huge expense kiutting us out with all necessaries and I remeber that a carrier was so important in my own childrens lives. I would love to win these for my little boy! For my little brother and his partner, their baby is due in September. For my sister in law who is expecting her first. I would like to win this for a friend who has just had her first child. I would love to win this for my sister, she is due in May with her first baby and its a boy!! we are so majorly excited, and would love to win this for a gift for her. My sister gave birth to my nephew 4 weeks ago! I’d love to win for them! !